Gala Coral Group is one of the largest UK casino gaming, betting and bingo companies. 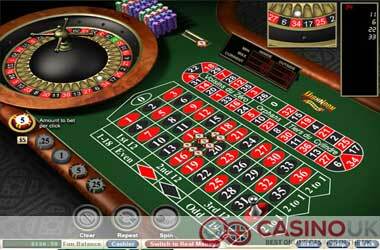 Gala Casino is the group’s online casino. It was established in 2008 and players can enjoy playing a range of high-quality online casino games both directly on the website, and by downloading the casino app. The casino also supports mobile devices and it offers a range of Live Casino games, which provide players a chance to enjoy an authentic casino atmosphere online. The Welcome Bonus options offered by Gala Casino are particularly original and intriguing. Unlike many other casino operators that offer a single Welcome Bonus to all players, Gala Casino gives players a chance to choose the type of bonus that they want to claim, as soon as they make their deposit. These are the offered options. Claiming the bonus of your choice is pretty easy. Log in and make a deposit of at least £10. A pop up message will appear asking you which bonus you want to claim. The bonus amount will then appear in your account automatically. The Slots Welcome Bonus is a 100% match bonus of up to £400. That means that if you wager £400, you will get to play with £800. The bonus can be wagered on some of the online slot games available at Gala Casino, including the progressive jackpot games and exclusive slots that are available only at Gala Casino. Players who play on PCs, laptops, tablets or smartphones are all eligible, provided that they are new and that they, or someone in their family/household has claimed the bonus previously. The wagering requirement for this bonus is 20 times the bonus plus the deposit amount. That means that if you deposit £300, and you get a subsequent bonus of £300, you will have to wager 20 times £600, which is £12,000. Once you qualify and receive the bonus, you will have 14 days to complete the wagering requirement. If you fail to do so the bonus amount, including all winnings from it will be forfeited. There are certain slot games which are excluded from the offer and players should not play them. Otherwise the bonus will be voided. Players cannot bet more than 20% of the bonus amount, or more than £10 in total in a single bet or game round on any of the casino games for the duration of the bonus, otherwise the bonus and all associated winnings may be voided. If players claim more than one bonus at the same time, they will have to complete the wagering requirement towards the bonus they claimed first, before they start wagering towards the requirement of the bonus that they claimed afterwards. All games don’t contribute towards the wagering requirements equally. If we exclude all the restricted games and double options, slots, arcade games, scratch cards and fixed-odds games contribute fully, 100% towards the wagering requirement. All but one versions of Roulette, most Blackjacks and Craps contribute 20%, Baccarat 10% and all other games only 5%. For those Roulette bets where between 50% and 67% of the numbers are covered the contribution will be 5%, whereas in the cases where more than 67% is covered there will be no contribution. The £200 Roulette Welcome Bonus, is only simple, with the only difference being that the match percentage is 50% and the bonus amount is £200. This means that if you wager £300, you will receive an extra £150 worth of bonus, or a total of £450. Players can choose from a range of 11 Roulette games and the wagering requirement for this bonus is 30 times the deposit plus the bonus amount. All versions of Roulette, plus Baccarat and Casino Hold ‘em contribute 100% towards the wagering requirement, excluding bets where more than 50% of the table is covered. Bets where between 50% and 67% of the table is covered, contribute only 5%, whereas if more than 67% is covered, there is no contribution. This bonus too is valid 14 days and the minimum qualifying amount is also £10. The £200 Blackjack Welcome Bonus is very similar to the Roulette Bonus. There are 12 eligible games, the amount, percentage and wagering requirement are the same. The only difference is that here most Blackjack versions, video poker, Pontoon, Red Dog and Casino Hold ‘em contribute towards the wagering requirement. Things don’t end with the First Deposit Welcome Bonus, and players also get to claim a bonus on their second deposit at Gala Casino. The principle is the same, as soon as you deposit at least £10, and that is your second deposit, you will see a pop-up message, requesting you to accept the bonus terms. Again, there are three Second Deposit Bonuses. The match percentage for all three options is 50%. Players have an opportunity to decide how much of their second deposit they want to go towards the bonus offer. For example, if you deposit £300 and you choose the Slots Bonus, you are entitled to a £150 bonus. But, you can choose to commit only £200 to the bonus and that way, you will receive a bonus of £100. You will need to complete wagering requirements in the amount that is committed to the bonus and not the full amount of the deposit. The wagering requirement is x20 for the Slots Bonus and x30 for the other two bonuses. There’s also a Third Deposit Bonus which is pretty much the same as the Second Deposit Bonus. Again, there are three different options, in the same amount and with the same wagering requirements. The games which are included as valid bonus games differ slightly. Both the Third and the Second Bonus are valid for 14 days each. Gala Casino has a VIP Program and other bonuses and promotions, in addition to the standard Welcome Bonus Program. The VIP Program at Gala Casino has four levels – Bronze, Silver, Gold and Platinum. Advancing through the first three levels is pretty simple, as soon as you deposit at least £500 in a month, you become a Bronze member. Depositing £2,000 is required for those who want to become Silver members, whereas Gold members have to deposit at least £4,000 per month. The Platinum level is invitation only. If you become a VIP member you will receive Cashback bonuses, and the Cashback percentage with increase the higher up the bonus scale you climb. There will be other advantages like priority withdrawals, increased table limits, as well invitations to VIP events. All players can collect Comp points. Every £10 wager would earn you 1 Comp point. Comp points can later be redeemed for cash rewards. VIP players get better Comp point conversion rates. Every Tuesday, UK players receive a 25% Top up Bonus with every deposit of at least £10. Whenever you deposit at least £10 on a Tuesday, you will be prompted to accept the bonus terms. Once you do, you will receive the bonus. The maximum bonus amount is £100. Players can vote to choose the Game of the Week for each week. During that week, all players who wager on the selected game will receive a special 25% Cashback, plus double Comp points, i.e. 2 points for a £10 wager. Finally, we have the Golden Card Bonus. Every player who plays Live Blackjack against one of Gala’s European dealers between 5pm and 11pm every day, can win up to £100. In order to qualify you will need to deposit at least £20. If the dealer deals you one of the special Golden Cards you can win a prize of £20, £50 or £100.